This article is part of our special report Tackling Diabetes in the EU. SPECIAL REPORT: While the prevalence of diabetes in Europe is increasing, doctors still call it the “silent disease” because it somehow fails to draw attention, says Arne Björnberg. Dr. Arne Björnberg is Chairman and COO at the Health Consumer Powerhouse, an organisation which compares healthcare systems in Europe, and recently published the 2014 Euro Diabetes Index, ranking European countries after how well they tackle diabetes among their population. He spoke to EURACTIV’s Henriette Jacobsen at a conference in Vienna organised by the European Association for the Study of Diabetes. After revealing the results of your 2014 Europe Diabetes Index, you divided Europe into Northern and Western Europe in green, the Mediterranean in yellow and Eastern Europe in red. Are Northern and Western Europe better at dealing with diabetes now because they had unhealthy, American-inspired lifestyle longer compared to Eastern Europe? The thing is diabetes has become the poor man’s disease. Diabetes’ prevalence is higher in poor countries than in rich countries. Also lifestyle factors… Eastern Europe has more vodka drinking, with one bottle on a Saturday instead of a glass of wine every day in the Mediterranean countries. So they both have an economic and a lifestyle problem. You say the economic crisis hasn’t had an impact on diabetes care in a country like Greece, for example. Why? Health outcomes of healthcare have kept improving all over Europe, right through the financial crisis. Anybody who has ever tried to manage doctors knows that they are extremely difficult to manage. Especially if the results are being measured, published and compared with other doctors. So parameters like infant mortality or cancer survival continue to improve. I think we can contribute, thankfully, to the fact that doctors are as hard to manage as they are. It’s very difficult to make them do something they don’t want to do, but they are very good at keep doing what they think they should be doing. You mentioned that diabetes is the poor man’s disease. Normally, when we talk about chronic disease, they affect older people. 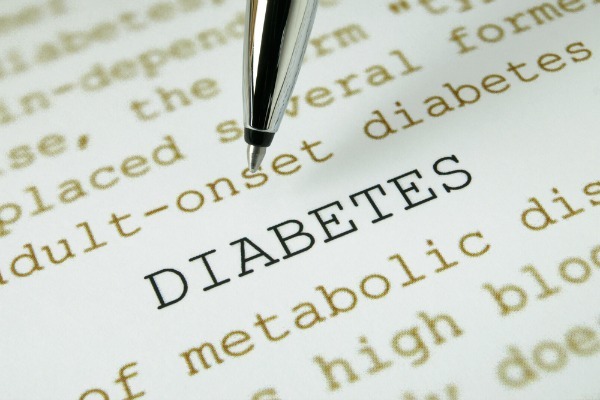 With diabetes, it can also be younger members of the workforce. Can you explain who the vulnerable groups are when it comes to diabetes? Should we pay more attention to their health? Well, there aren’t really any vulnerable groups. The only thing you can do is guard your own lifestyle with some very basic parametres such as more exercise, eat more vegetables, don’t smoke, and have a modest alcohol intake. Personally, I think you can throw away the sugar, too. When diabetes is hitting the workforce, why aren’t EU politicians more concerned? Diabetes has not got the attention which cardiovascular disease and cancer have where people are acutely dying. Diabetes is a more silent disease. It hits a very large number of people, but it’s very undramatic. If a diabetes patient is not treated optimally, there are no violent results to be seen for a number of years. People don’t die from diabetes, but can suffer badly from the complications related to diabetes, such as amputations. Do you think that is what health authorities should emphasise? Amputations have become much less frequent all over Europe. If you take Malta, which used to have a high prevalence of diabetes, it had an amputation rate of 1,400 per 100,000 twenty years ago. They are now down to 300 which is still not good, but 1,400 was absolutely unacceptable. So, even in poorer countries, diabetes care has improved tremendously over the last twenty years. But there’s still a lot to do. Lifestyle problems probably explain why incidence of diabetes are increasing. But despite that, deaths from diabetes are actually going down. EURACTIV Germany: Diabetes in Europa: "Die Krankheit des armen Mannes"